Is PCOS Causing Your Sexual Health to Suffer? Sexual dysfunction is a common issue with 40-45 percent of women in general, and the likelihood of these concerns increases with age and the presence of health issues such as pelvic pain, low self esteem, high blood pressure and diabetes.2 This means women with PCOS can experience a higher incidence of poor sexual health due to certain appearance-related symptoms and the increased risk of those physical conditions (diabetes and poor cardiovascular health) that cause sexual dysfunction. Add the documented disruption of intimacy experienced by infertile couples, another symptom of PCOS, and poor sexual health is not a surprise. It is however, something that can be addressed and eliminated naturally. 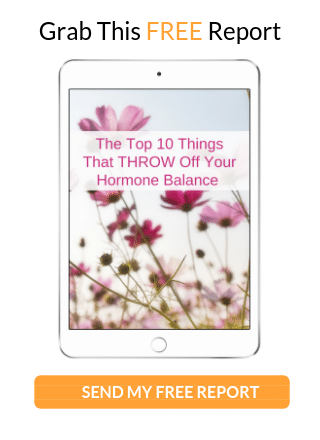 The PCOS 5-Element System is designed to help you heal from these sometimes devastating symptoms to help you recover your sexual health to feel more vibrant and produce more of your feel-good hormone oxytocin. 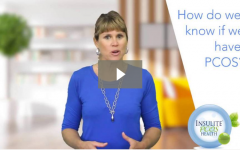 Are There Signs to Look for When You Suspect PCOS- related Sexual Dysfunction? 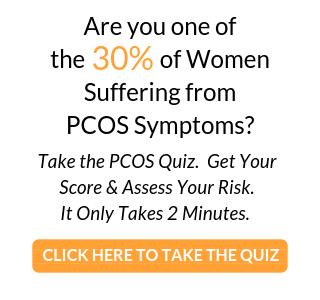 Women with Polycystic Ovarian Syndrome also have a greater risk of hypertension during pregnancy, miscarriage, poor cardiovascular health, and diabetes.10 Although sexual health seems less important than these more serious health conditions it can still contribute to a reduced quality of life in a significant way and is a key sign that your body is out of balance. Some of the conditions considered a risk for women with PCOS, such as diabetes and poor cardiovascular health, can cause sexual concerns. 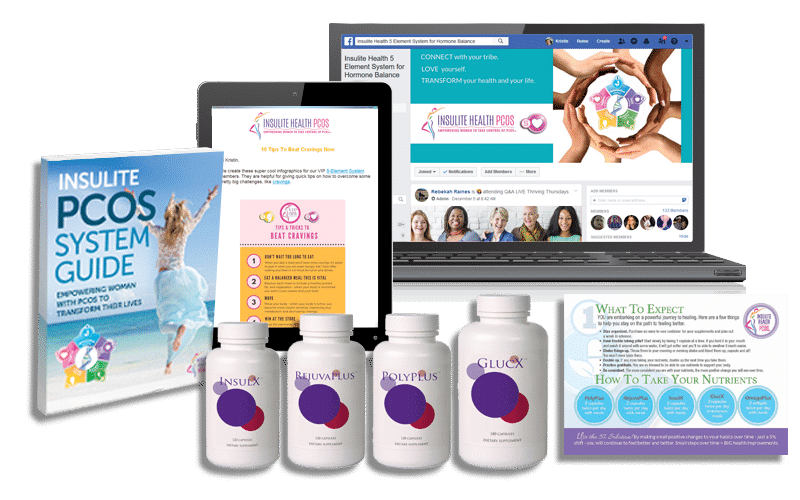 In general, women with PCOS report less sexual satisfaction than women without this condition, and if sexual dysfunction occurs frequently or is the cause of distress, then getting your body back into balance is key. For women it is very important to feel safe during intimacy, and the best way to get yourself back into the swing of things is to learn what pleasures you on your own. Then you’ll have the knowledge and desire to have increased satisfaction with a partner. The more you pleasure yourself the more balanced your hormones will be and the more confidence you’ll have! What can Negatively Impact Sexual Health? The cause of Polycystic Ovarian Syndrome is not entirely clear, but it is thought to be strongly connected to Insulin Resistance, hormone imbalance, and even genetics. If you have a mother or sister with this disorder, then the likelihood of you having PCOS is higher. Insulin is an important hormone produced by the pancreas that transfers sugar out of the blood and moves it into other cells. This sugar is then converted to energy or stored as fat. When this process does not work as it should it is called Insulin Resistance. 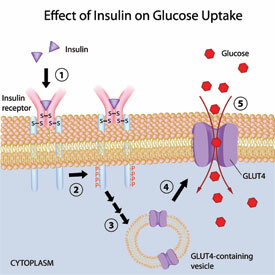 With Insulin Resistance the pancreas produces more and more insulin to remove sugar from the blood. These high levels of insulin can create an assortment of symptoms. Insulin Resistance is found commonly in women with Polycystic Ovarian Syndrome, and many of the symptoms of PCOS can be linked to Insulin Resistance. No matter what the cause, there are many strategies and therapies that can address both PCOS and related factors like Insulin Resistance and sexual dysfunction. What Can Be Done to Treat Sexual Dysfunction? Exercise: Regular exercise will positively impact Insulin Resistance and help you lose weight, which can improve overall body image and mood. Quit smoking: Smoking restricts blood flow, especially through small capillaries including those in your sexual organs, which can limit arousal and sexual response. Acupuncture: This is an area of study that has not been looked at conclusively for the treatment of PCOS but has been found to improve the symptoms of this disorder as well as improve sexual libido. Yoga: This discipline promotes a peaceful mind and flexible body, which can improve overall psychological health and self-confidence. There are even certain yoga practices that focus on sexual functioning and energy. Counseling: Open communication and therapy designed to address self-confidence issues linked to PCOS symptoms can be crucial for sexual health. Learning to communicate with your partner about your insecurities can create greater intimacy and improve sexual health. Eat a healthy diet: Good nutrition is the foundation of treating PCOS and Insulin Resistance and can contribute to a lovely sense of wellbeing. Focus on whole real foods, and gluten and dairy free. 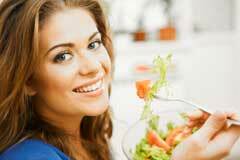 This type of diet may hep you lose weight, improve skin tone, contribute to healthy hair, and give you lots of energy. All these benefits help manage your PCOS symptoms and impact sexual health in a positive way. Sexual satisfaction is very important for good quality of life, so seeking to heal the underlying cause of hormone imbalance is critical. Use natural approaches can make a huge difference in sexual satisfaction and provide relief of the PCOS symptoms that erode self-confidence and satisfaction with personal relationships.